Most of us need help getting around eventually. If we're lucky, a little help from family is enough to maintain independence as we age. But when it comes to long-term care planning, we can't afford to count on luck alone. It's impossible to know precisely how much help you'll need when you're older, but your health and genetics hold some clues. Genetic risk factors for requiring long-term care include gender and family history. Women, people who live into their 80s and beyond, and people with family histories of chronic health conditions are more likely to need care as seniors. Your health and lifestyle choices also play a role. Chronic health problems in middle age are likely to worsen without serious intervention. If your lifestyle includes poor diet, sleep, exercise, and substance use habits, you're at risk of developing additional health problems as you age. Even if the odds aren't in your favor, there are things you can do to reduce your risk of needing care or minimize the amount you need. Even one or two fewer years of care could amount to savings in the six digits. Advice for good health doesn't change much as you grow older. If you eat a balanced diet, exercise a few hours per week, and abstain from smoking and substance abuse or misuse, you're more likely to maintain good health. However, there are some things older adults should pay more attention to, like the importance of a safe, fall-proof home, keeping up with preventive care, and staying socially active in a community. Adopting a safe and healthy lifestyle is the best thing you can do to reduce long-term care needs, but even the best habits can't eliminate the possibility of needing paid care. That's why it's so important to financially prepare for long-term care. Paid care isn't cheap, regardless of whether it's provided at home or in a facility. That doesn't mean you can't use insurance to defray long-term care expenses. Long-term care insurance is one product you can buy to spread out costs over time. Unfortunately, long-term care insurance isn't cheap, either: Rising premiums, waiting periods, and strict benefit limits have dissuaded many adults from investing in it. If you're worried about spending money on an insurance policy you may never use, consider a hybrid life-LTC policy. With a hybrid policy, you can use your benefits for long-term care if you need them or hold onto them for a death benefit if you don't. ● Downsizing: If your home is paid off and your local housing market is strong, downsizing and selling a home could pay for several years of care. Before making the decision to list your home, research the local market to see if the potential proceeds are worth it. ● Apply for a reverse mortgage: If selling isn't an option, a reverse mortgage provides a steady stream of income, and it could be enough to pay for caregiving. ● Tap into life insurance: Depending on your specific life insurance product, you may be able to withdraw funds, take a loan, or surrender your policy for cash. No one wants to think about growing ill or disabled when they're older, but if you don't, your health is at even greater risk. If you want to age confidently, knowing you can afford the care you need, it's time to face the tough topic of long-term care planning. If you were born between 1946 and 1964, you know how to pinch a penny. However, worrying too much about finances can mean missing out on the simple joys of life. If you are baby boomer on a budget, here are some ways to save without sacrificing your happiness. For many baby boomers, sticking to a strict budget is all about being able to afford their healthcare. However, proper planning can actually go a long way in ensuring those costs do not come directly out of your pocket. For one, you need to know all the ways that Medicare can help offset any healthcare financial burden. Medicare can cover quite a bit when it comes to preventative and wellness care, and some options can even provide assistance with prescriptions and other secondary care expenses. What Medicare does not cover are long-term bills. This kind of custodial care is exempt from Medicare coverage and is rarely covered by private healthcare insurance. 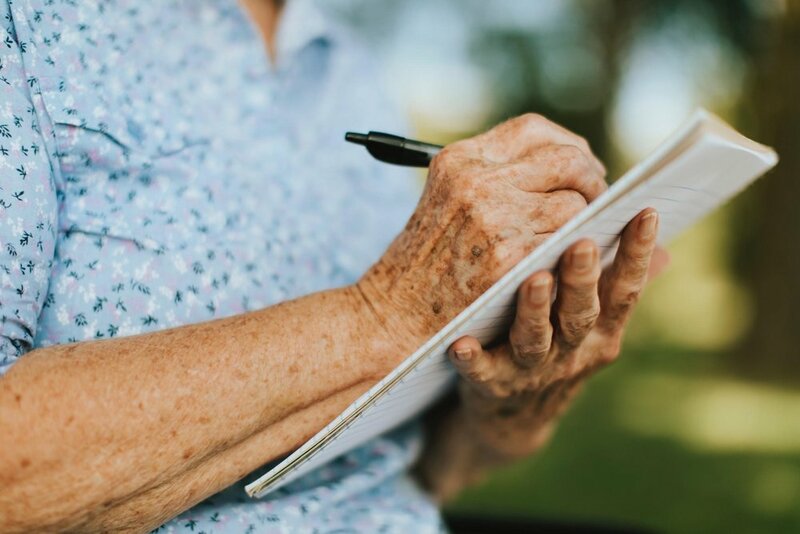 This is why savvy boomers should research the benefits of long-term care insurance, which can provide additional help for assisted living or nursing home costs in your future. To make sure you find insurance options that are right for you, use Consumers Advocate and similar sites to research trusted long-term care insurance companies prior to signing up for peace of mind. Frugality in retirement is a great way to make sure you can cover living costs as you age. However, cutting those costs early on can be a much less stressful way to pad your retirement. Often, even the most financially savvy seniors can get trapped into paying for services and things they do not need. So, take a look at your cable bill, subscriptions, and even food costs to see if there is are any areas you can comfortably cut. Lowering energy costs is an easy way to save money while lessening your carbon footprint. Properly maintaining your heating and cooling systems takes minimal effort but can have significant impacts on your power and gas bills. You can also look into investing in a smart thermostat to keep your home comfortable without increasing your energy costs. Finally, if gardening is one of your favorite pastimes, you will be happy to know that this hobby can help you save money as well. By doubling your garden, you can effectively trim hundreds off your grocery bills and spend more time pursuing your passions in the process. While foregoing a vacation may help put more funds into your retirement account, not taking time to enjoy life can put more stress on your health. When you spend more time stressed than happy, you are more likely to develop cardiovascular disease, as well as feelings of anxiety and depression. By cutting out your travel plans, you could actually affect your well-being. Studies show that travel can bring more joy to your life. When you open up your routine to experience different environments and cultures, you can more effectively let go of worry, fear, and anxiety. In fact, experiencing more of the world can bring more happiness and contentment to your life than an abundance of money. Best of all, seeing the world doesn’t have to break your retirement budget. There are many ways to save on your adventures if you plan ahead. Make sure you research all of your options when it comes to transportation, accommodations, and activities, and think about taking your trips during the off-season to offset vacation costs. Living a full life involves more than a full bank account. Mapping out a healthy savings plan, without taking away from your passions, can help you prepare for the future and get more happiness out of life. So, be savvy, smart, and willing to find more joy in life! It’s hard to think about your own death, but it’s something you must do. 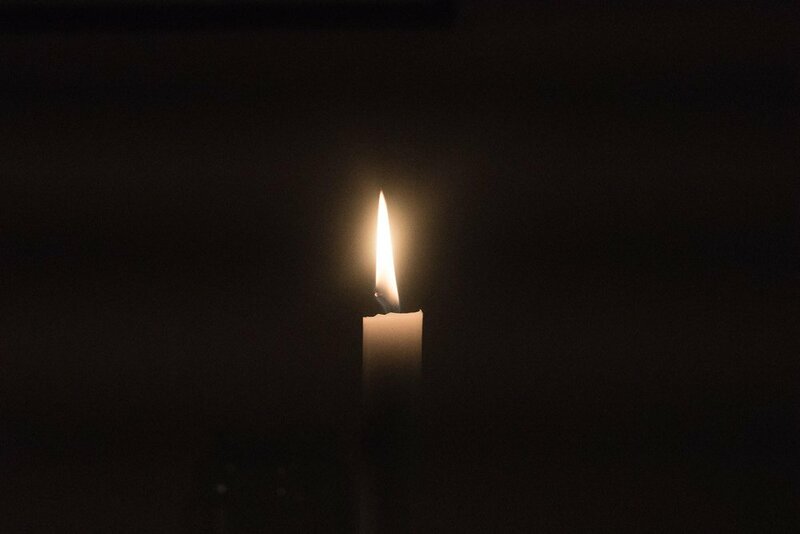 Whether you’re just beginning your golden years or in the twilight of your life, the time you think you have to plan your own funeral will pass quickly. Planning your own funeral not only relieves the burden on your family, but it also ensures that your final farewell is executed in the precise manner you desire. Here’s what you need to know. The average funeral in this country costs around $9,000. That’s not cheap. This figure is for baseline services only, so when you add in the cost of a typical burial plot, you should really count on that cost exceeding $10,000. Of course, the cost will vary depending on what kind of service you choose, whether you hold a pre-funeral visitation, the venue, and how you choose to deal with your remains (cremation vs. burial). You must have a conversation about your final wishes with your family. It is 100 percent necessary, and it is not going to be easy. Nearly 90 percent of people in a recent survey said they want to have this conversation, but only a quarter of them have. Emotions, however, can run high. This conversation should cover end-of-life care, what medical decisions you outline in your advanced directive, the basic contents of your last will, and exactly how you want your funeral services and burial to proceed when you pass. The good thing about burial insurance is that it’s also final expense insurance. This means it may cover other stuff like your medical bills and personal loans. You should hammer out what your funeral is going to cost based on your wishes and also think about whether you want to have some funds left over to cover extra expenses before you choose your policy. Most burial insurance plans are easier to qualify for than whole term life insurance, but the benefits may not be as great. Weigh the pros and cons before you make a decision. Yes, it’s going to be expensive, but that doesn’t mean there aren’t ways to cut the costs. You should definitely comparison shop for funeral homes. Let them know you’re looking around — this can force them to offer good deals. You can also get better deals if you book and pay well in advance. The VA and Social Security can contribute hundreds of dollars toward your final expenses if you qualify. Whether you are being cremated or buried, renting a less-expensive casket for the visitation is a good option. Donating your body to medical research can also help you save money, as the medical institution will cover most of the cremation costs. You want your friends and family to be able to celebrate your life without the added stress of fighting about your wishes, planning your service and burial, and coming up short on the costs for everything involved. By taking the time to fully plan your own funeral well in advance, you are doing something truly generous for your loved ones. No money for a funeral. Give us a call at 800-296-5899 to help you prepare. Are you a senior who is getting ready for retirement? If so, you may be taking a harder look at your finances, and if you are like many seniors, you may feel a little confused. Money matters can be confusing to anyone, but here are a few key financial steps every senior should be thinking about when it’s finally time to retire. To make your money last through retirement, you need to carefully prepare a budget. If you’ve been living off of a family budget for years, you already have a big head start. If you’re new to budgets, you may need some help setting up your retirement budget. Start by gathering bank statements for the past six to 12 months and taking a good look at your spending and income. Use highlighters to go through paper copies and write out your new budget based on your expenses and expected income. If you have a smartphone, you can also download budget apps to help you create your financial roadmap and keep you on track during retirement. 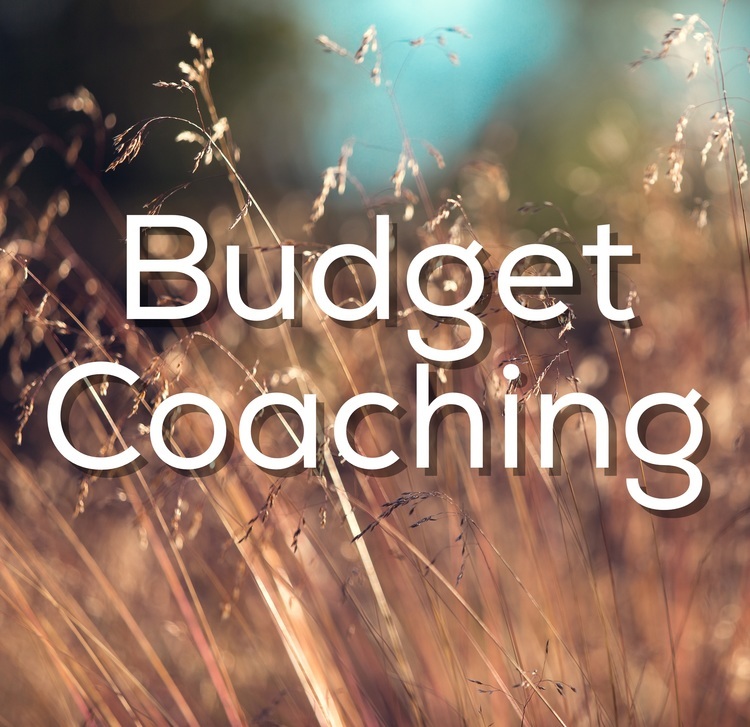 You can also think about working with a budget coach to help you get off to the right start. Your income tends to decrease when you retire, but your healthcare costs are likely to keep going up. Recent reports estimate that seniors can expect to pay at least $280,000 for healthcare during retirement, at the very least. Medicare can definitely assist with the costs of care, but coverage is often limited and does not include long-term care. To better plan for your wellness, you should look into enrolling in supplemental plans that can offer more healthcare savings. Medicare Advantage Plans typically include the benefits of Medicare Parts A and B with even more coverage when it comes to dental, vision care, and prescription drugs. Some plans even offer health and wellness plans that can help fend off health issues by keeping you fit and eating well. Get more information on enrollment in Medicare Advantage Plans and see how a little extra coverage can equal a lot in savings. Identity theft is a threat to all adults. However, seniors are more vulnerable to financial fraud and identity theft schemes. Criminals tend to prey on older adults, especially those over 60, but you can protect yourself by being aware of these potential issues. If someone asks for personal information over the phone or via email, do not give it to them. Finally, make it a habit to check your credit card bills, bank statements, and credit reports. Pull up statement each month, or more often, and look for any suspicious or unusual charges. Even smaller charges can be suspicious since scammers often start with lower amounts to see if you are paying attention. You can also download free copies of your credit report to check for signs of identity theft. Keeping up with finances and bills can be a challenge, especially as you get older. If you are having trouble remembering to pay bills or creating a solid retirement budget, it may be worth it to reach out for help. You can work with a financial advisor to get a better handle on your finances and put together a financial plan that will carry you through retirement. For seniors who need more basic help, like keeping up with bills and making important financial decisions, you can ask adult children or grandchildren for assistance. A financial power of attorney can be helpful for seniors who are unable to make financial decisions on their own anymore. For some senior adults, they struggle to implement what they learn while being consulted by a financial advisor. They struggle to implement the plan that is created for them. If this is you, there is help. Turning Point Stewardship is a service that creates a budget with you and then implements this budget for you. They will pay your bills, make sure your savings is growing as you have planned and to make sure you get out of debt with a specific get out of debt plan. If you are an older adult, understanding your finances doesn’t have to be stressful. With a few basic steps, you can get a good start on your financial future. You can easily prepare a budget, keep an eye out for fraud, and prepare for healthcare costs, but don’t be afraid to ask for help when you need it. So, take control of your finances and take more control over your life. 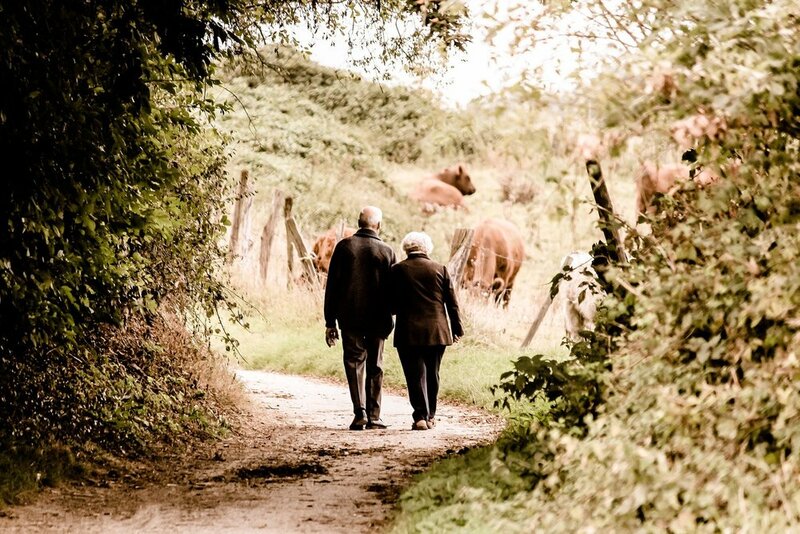 Long-Term Care in Old Age: Are You Prepared? As our age goes up, so do our healthcare needs. And as our needs grow, so do the costs. However, medical care and prescriptions aren't the only health expenses aging adults must worry about. Long-term care spending rivals healthcare spending for seniors today. It's estimated that today's seniors will spend an average of $69,500 on long-term care services, Forbes reports. Because women live longer than men, they can expect to spend twice as much on care as their male counterparts. Many people believe Medicare will pay for any long-term care needed after the age of 65. However, while Medicare pays for many health care needs — and supplemental Medicare plans extend that coverage even further — long-term care services aren't covered. For that reason, individuals must make other arrangements to pay for long-term care. But how do you know if you'll need long-term care, how much money to put aside and where to find the funds? It's impossible to fully predict whether you'll need long-term care. Even if you're the picture of health today, it only takes a moment for an accident or illness to change your health outlook. However, there's certain information you can use to assess the likelihood that you'll need long-term care. Start by assessing your current health status. If you have a chronic illness, disability or are generally in poor physical health, it's probable that you'll need care in the future. Even if you're healthy now, consider whether your lifestyle increases your risk of developing a chronic disease. Adults with poor diet and exercise habits are susceptible to developing a litany of disabling health conditions, as are those who live a high-stress lifestyle. If your lifestyle puts you at risk for chronic health problems, know it's never too late to benefit from lifestyle changes surrounding physical, emotional and social health. Consider family history as well. Genetics and family history influence your likelihood of developing various health conditions. It also affects your lifespan: If your parents and grandparents have lived into their 80s and 90s, there's a good chance you will, too. And the longer you live, the more likely you are to need support for the activities of daily living. Finally, consider your home and whether it's a safe environment for aging in place. If you suffer a disabling injury and your home isn't safe to return to, you may have no choice but to move into a care facility. By modifying your home for aging in place or purchasing a new, safer home, you can eliminate fall risks that threaten your health and safety. ● Purchasing long-term care insurance. ● Attaching a long-term care rider to a life insurance policy. ● Cashing out investments and retirement accounts. ● Tapping into HSA funds. ● Selling a home or applying for a reverse mortgage. ● Asking family for financial support. ● Spending down to qualify for Medicaid. No one wants to imagine becoming frail or ill with age, but longer lifespans mean an increasing number of adults will need support in their final years. Paying for that support can be just another piece of your retirement planning or a life-changing financial decision. The difference is all in how you prepare for long-term care expenses. If you want a high-quality of life until the end, start putting your plans in place today. Struggling with getting bills paid on time or just don't have the time or desire, consider Turning Point Stewardship's Bill Pay Program. Losing a spouse is one of the most stressful things a person can experience. In fact, a study published in the American Journal of Public Health found that mortality rates in the bereaved can be up to 150 percent higher than in the general population due to stress. Unfortunately, financial problems start to pile up at a rapid pace during this time, which is the last thing your loved one needs. Naturally, you want to help out, but you may not know where to start -- here are a few things you can do. Encourage your loved one not to make any major financial decisions in the early stages. Grief can cloud your thinking, so start with just the basics -- firstly, can you get enough cash together to pay for the funeral expenses? This can be tricky, because power of attorney rights are nullified upon death, meaning survivors are sometimes not able to access money held in their partner’s name. US News has some good advice here on how to pay for a funeral when the cash flow is limited. Next, get the death certificate, because you will need this for several processes in the future, such as when making a claim on life insurance. One of the major causes of stress regarding finances during bereavement is uncertainty. Because of the complexity of many people’s financial affairs, it can be tricky to know where you stand. Getting a basic overview can help. Start by making a simple balance sheet -- put assets like house value, bank account balances, and investment valuations in one column, and debts like your loans and mortgages in another. Sum both columns and subtract your debts from your assets -- you now know roughly what you have available. It can also be useful to write down how accessible each of your assets is right now -- in other words, how liquid you are. This will help you determine how well you’ll be able to meet immediate expenses. The immediate grieving period is naturally the worst, and the stress can seriously knock a person’s self-confidence. According to a survey published in the Journal of Financial Service Professionals, this can carry across to financial matters, particularly in women. Sorting out these financial affairs can be a mess when you factor in Social Security payments, insurance, power of attorney, obtaining the death certificate, and a host of other matters. If you’re not confident in dealing with all this, it might be wise to seek out a certified, reputable financial advisor. That same study found that widows who did so saw a significant boost in their confidence regarding their financial situation. After a little time, discuss with your loved one their potential need to downsize. Moving to a smaller place can free up a lot of money, which might be necessary to pay for medical costs, clear some debt, or cover other expenses. It might also be harder to manage the day-to-day chores in their current place, which were previously shared by two people. On the other hand, moving can break social ties, and social support can be very important in helping people adjust to a loss. If you are considering downsizing, look up house prices in your area, and try to find homes close by which are comparable in size. This will give you an idea of what your home is worth right now -- but if you can’t find a good comparison house, ask a realtor for more advice. It’s a sad irony that these financial matters pile up right when we’re least able to deal with them. A little extra support from you in this area will likely be very much appreciated by your loved one. Just take your time, plan ahead, and don’t be afraid to seek help yourself if you are struggling. Car insurance, property taxes, rent, utility bills, cell phone and auto insurance expenses, you are likely to have more monthly bills than you care to think about, but regardless, you need to make sure they get paid. Whatever you’re earning, and even if you’ve cultivated a saving habit, expenses have a way of creeping in and distorting your budget choices. A survey from BlackRock states that 48% view high cost of living as a major deterrent to their financial future which consequently ranks them behind the mortgage as a roadblock to their retirement savings. The bottom-line here is that by creating a simple yet comprehensive budget you can make better choices of where and when to spend your money. With our proprietary Cash Management Plan you’ll know exactly where you stand with your money each and every month. No more surprises. No more arguments. Hence, attending budget coaching class in California and Fullerton will help you create a personalized cash management plan which in turn will help you take control of all your monetary expenses. And finally really be in control of your finances. If you, as a couple, happen to manage your money issues, it’s quite an undertaking. More often than not, couples struggle keeping track of where their money is going and eventually, end up making a fuss about it. And when you are extremely distressed about money, you just can’t stop pondering over it time and again which makes it even harder for you to suppress your frustration and anger. In some cases, the fights related to household finances lead to the downfall of the relationships. Mind you, the financial issues can’t be quantified as a small problem because they do take a toll on your lives, especially when it’s the two of you tackling them. Sometimes, sitting with your partner and exchanging the viewpoints are of no help because you seem to have gone too far with the everyday monetary fights. This is the main reason why the successful couples opt for financial assistance. Having a financial advisor by your side, can help solve your money problems, manage your utility bills, cash, and teach you to design the right budget for your family. The financial assessment sessions in California offered by Turning Point Stewardship makes you discover a whole new way to manage your money. Here, the psychologist becomes your financial advisor to counsel you and develop the right money management skills in you just so you are able to experience financial peace. Should you be going through a lot, enrol with us today! As bizarre as it sounds, haven’t we all been there? Whatever is our income level, we think to ourselves, if only I had a just a little bit more then, at least, our budget would have some breathing room and we will be satisfied with our finances. But, unfortunately, the truth is control over money has less to do with how much we make, and a lot more with how we manage what we have. Financial health is important not only to our bank balance but also to the atmosphere in our home. More marriages have fallen apart over financial issues than almost any other factor. Money is one of the most profound conflicts for people in relationships to resolve. There is little instruction on how to manage our finances with a spouse or partner. And if you do it wrong, it can mess everything up. So, why seek out someone who can pay your bills and manage your cash? Turning Point Stewardship and its representatives are properly licensed to do just that. We are sure that by joining our program you can become debt free and know where your money is going while ending the endless arguments about money! Do you earn enough to provide for the needs of everyone in the family and still find your funds running short as the month approaches its end? Well, this is the problem with most of us. We all make enough money, but our management of what we earn leaves a lot to be desired. And it is only when we find ourselves in a crisis, of a financial nature of course, do we realize the importance of budgeting. Have you ever thought about what you can do to avoid a similar situation in your life again? Budget coaching could be the answer. A coach who is an expert in financial stewardship and has seen it all, done it all, coached it all is the person to look for when it comes to effective money management. Does he have any experience in helping people out of such situations? A positive answer to this question would take you to the right door. A coach who knows the modern lifestyle and how people spend money, sometimes unnecessarily, would understand your needs - expenses, savings, and getting out of debt. A plan that specifically marks your expenditures and the opportunities of savings will be designed taking your valuable inputs. However, the plan would work as long as you are willing to make it work. If you want to make sure that you have enough money to spend on your present needs and enough savings for future, there is no way you will divert from the plan. So go ahead and get help from budget coaching to enjoy your present as well as future. The fact that most of us are deprived of any initial financial education at young age affects our adult life badly when we have to shoulder major financial responsibilities all at once. As a result, there comes a time when our financial system seems to fall apart and we feel utterly helpless. Due to poor money management, sometimes we also come under the burden of multiple debts and have to go through a hard time getting rid of them. However, it’s still not too late as you can shake hands with us for an efficient and optimal management of your financial system. We at Turning Point Stewardship offer versatile management programs that help you in setting an equilibrium between your income and expenditure. We devise custom plans to come up with best ways to manage money in California. 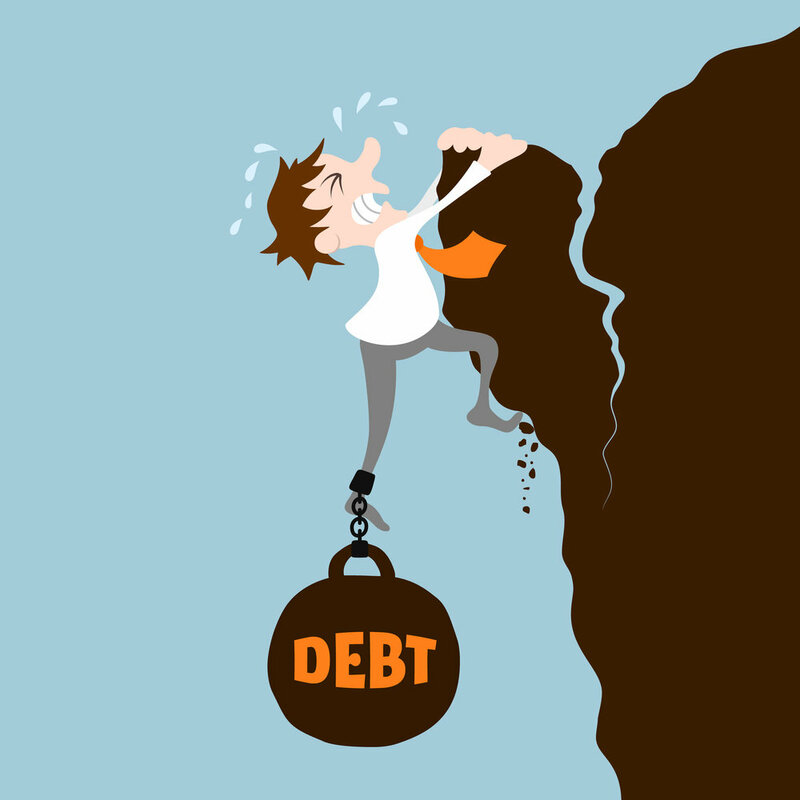 You can also approach us for consultation when you are struggling with debts and cannot find a way out. We will set a definite time period to help you pay off all your debts and also liaise with your lenders to negotiate on the interest rates if the need be. Go through our bill and cash management programs that we offer in California on our interactive website and feel free to inquire about our services.